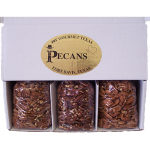 In this gift box you can choose 3 8 oz. 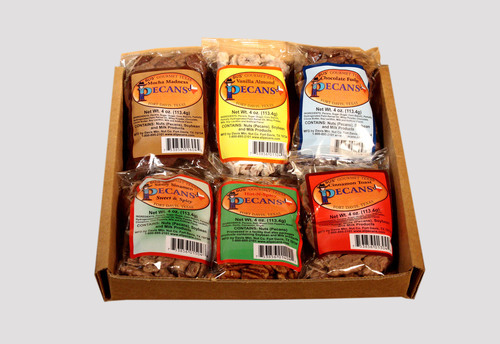 paackages in the flavor of your choice. 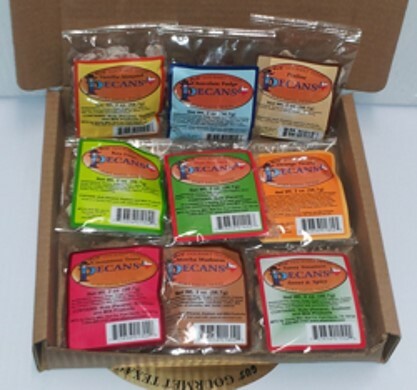 This gift box has four 4oz. 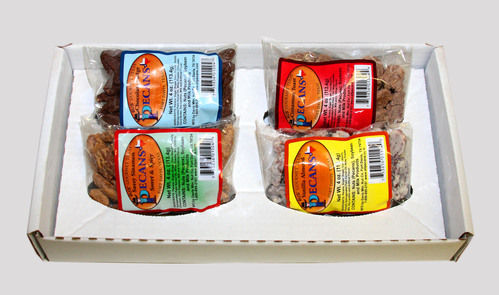 packages of your choice of flavors. 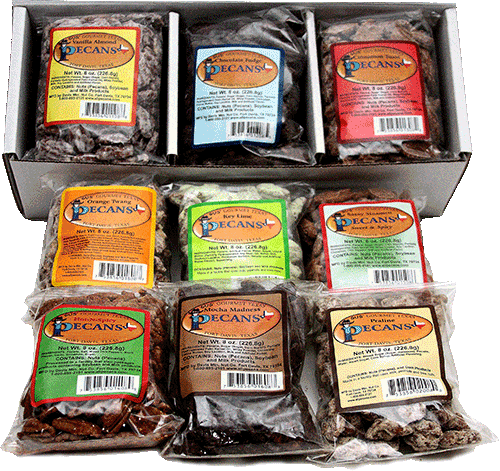 You can choose up to 6 different flavors of our delicious pecans in this gift box. 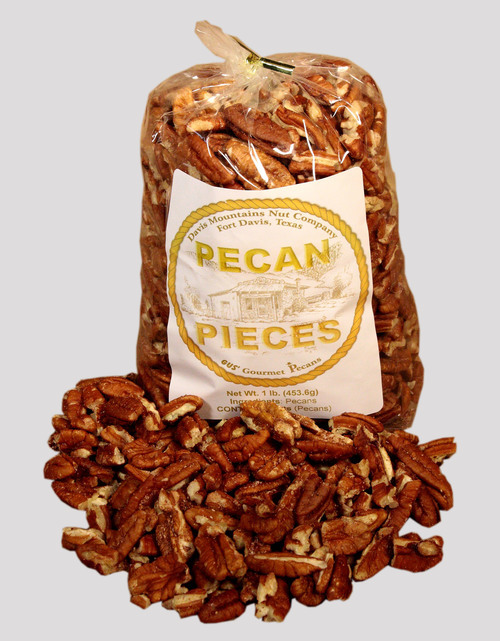 You get just as much product as in our other 3lb. 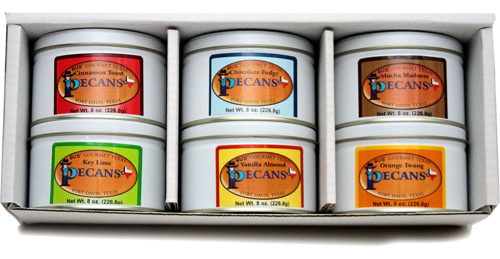 Gift Boxes but do not have to pay for the tins. 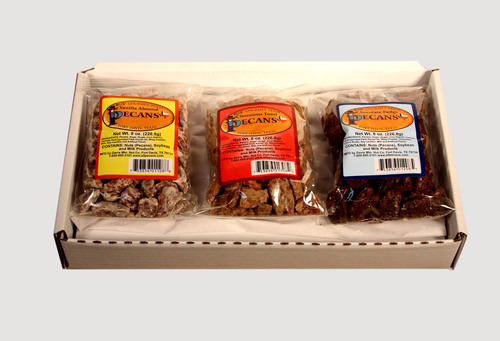 Choose any three flavors that you would like.